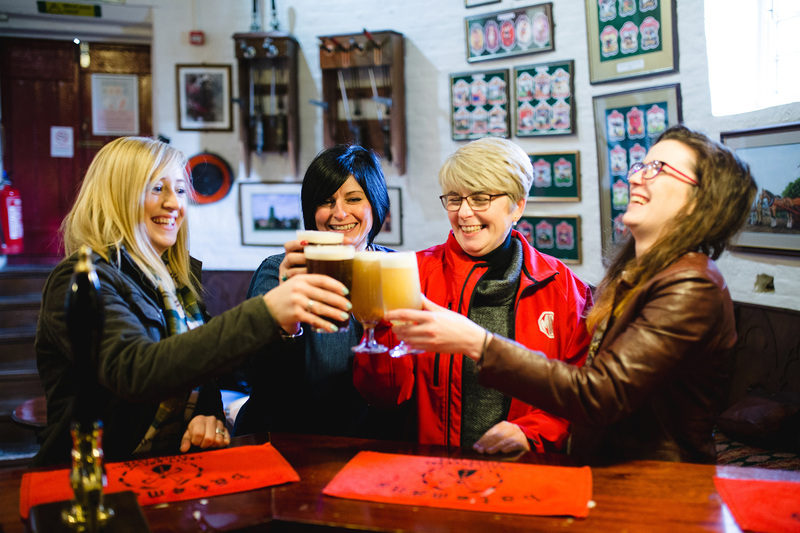 With all the fun and excitement of the Brewery tour and Visitors Centre experience, you’re sure to work up a healthy thirst. 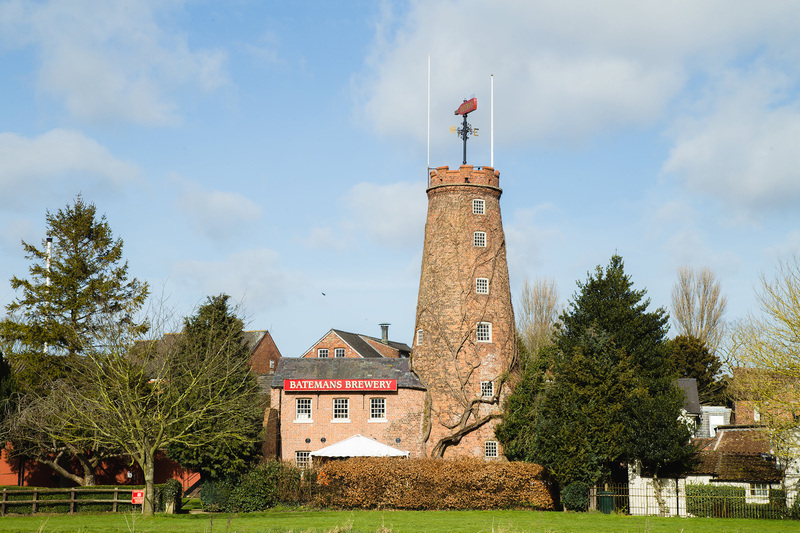 Join us in the old windmill for a Batemans brew of your choice at Mr George’s Bar. 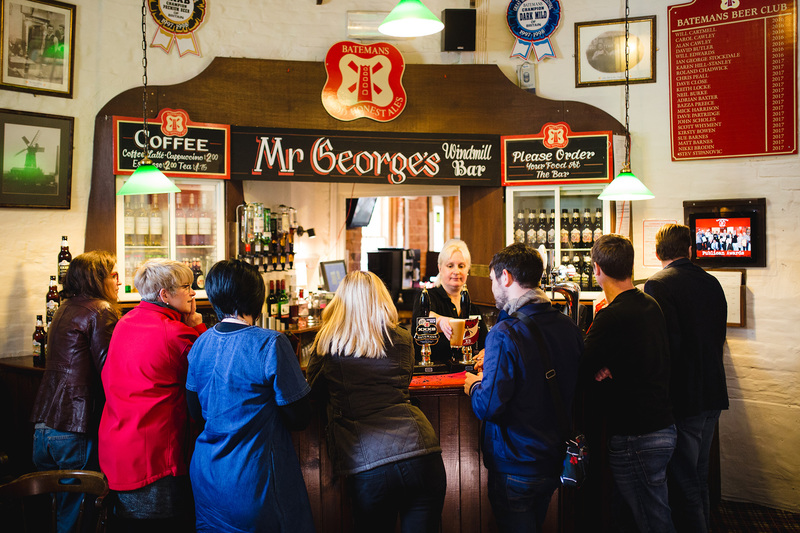 Mr George was grandson to Batemans founder George, and the bar bears his name for good reason. 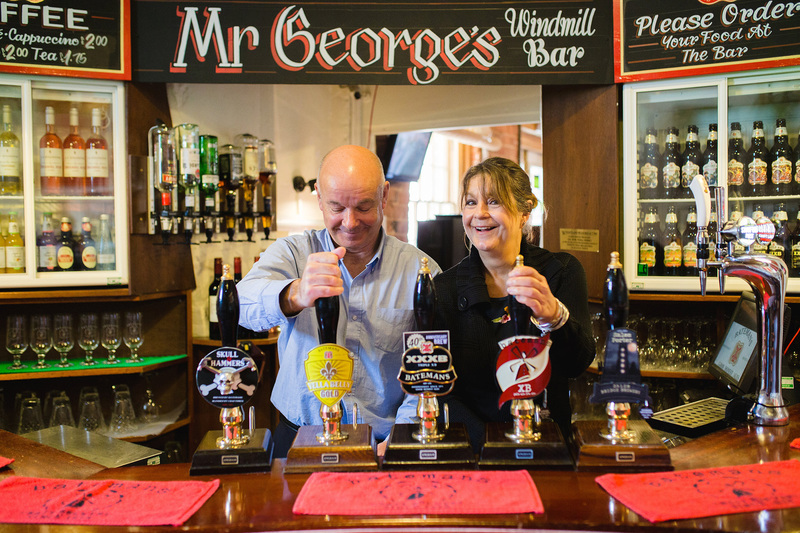 Mr George was known for his warm hospitality and he always made sure everyone was looked after. Because of the circular shape of the mill, you’ll hear an eerie echo all around the bar, Roman Auditorium style. Be sure to try it out for yourself. 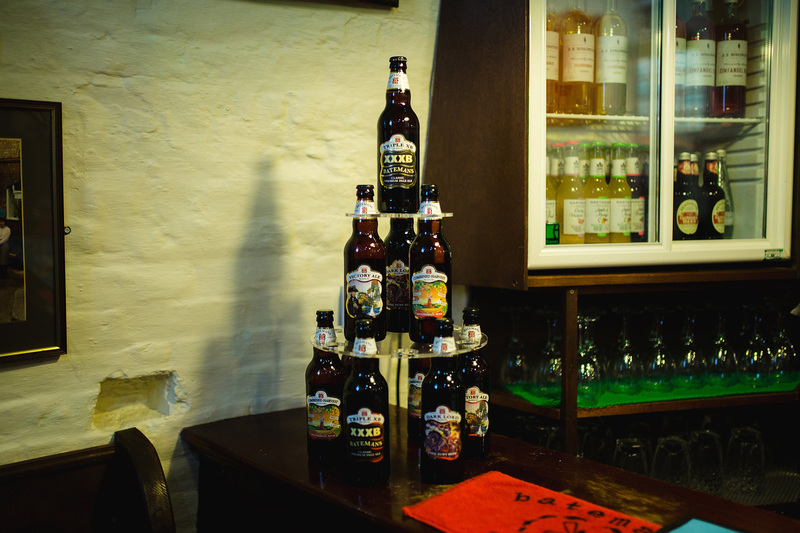 There are always five Batemans beers available on draught, along with Batemans bottled beers in the fridge. 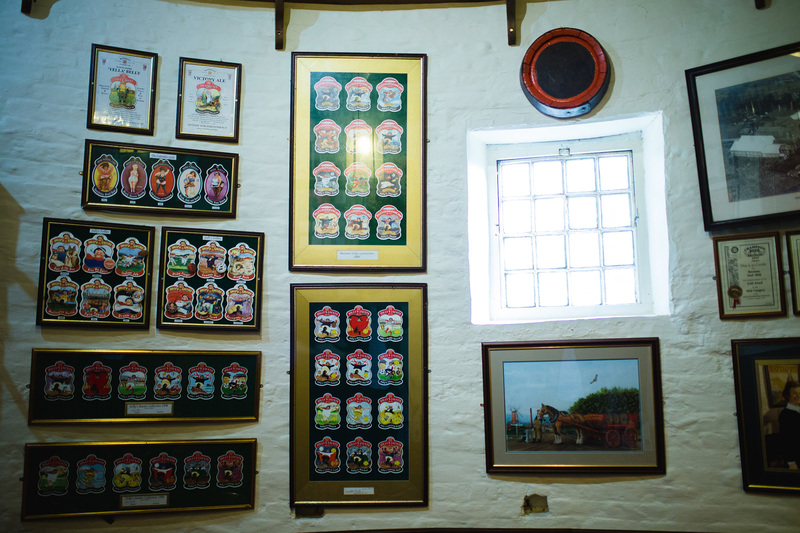 We also have a good selection of wines, spirits, soft drinks plus a selection of teas and coffees too. 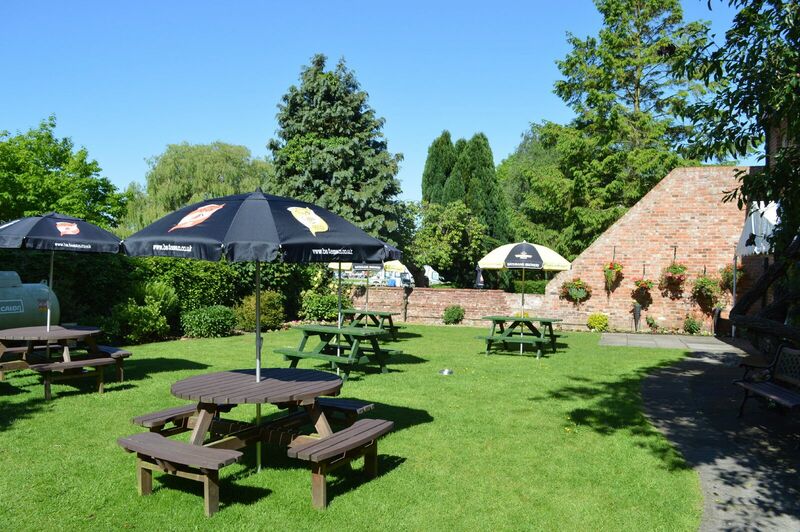 When the sun shines, you can venture outside and enjoy our picturesque beer garden, overlooking the river, complete with giant traditional pub games. And the traditional Lincolnshire food is delicious and great value. Carvery with a selection of seasonal vegetables. The bistro – our Patricia Room – is named after Mr George’s wife. The same delicious food and drink can be enjoyed here. Catering for up to 80 people, the space can also be hired for parties, conferences, weddings and functions. There’s a wide selection of menu options to suit the occasion, including hot and cold buffets, table service, BBQs and hog roasts.